You are at:Home»Caught In The Act»SG AUTHORITIES CAUGHT MAN TRYING TO SMUGGLE RHINOS HORN THRU SINGAPORE! In Aug 2017, AVA collaborated with Singapore Customs and Immigration & Checkpoints Authority to investigate an attempt to smuggle illegal wildlife products through Singapore. A 29-year-old man, Nguyen Vinh Hai, was stopped upon arrival at Changi Airport and his luggage was inspected. Eight pieces of cut rhino horns and a bag of rhino horn shavings were detected and seized. 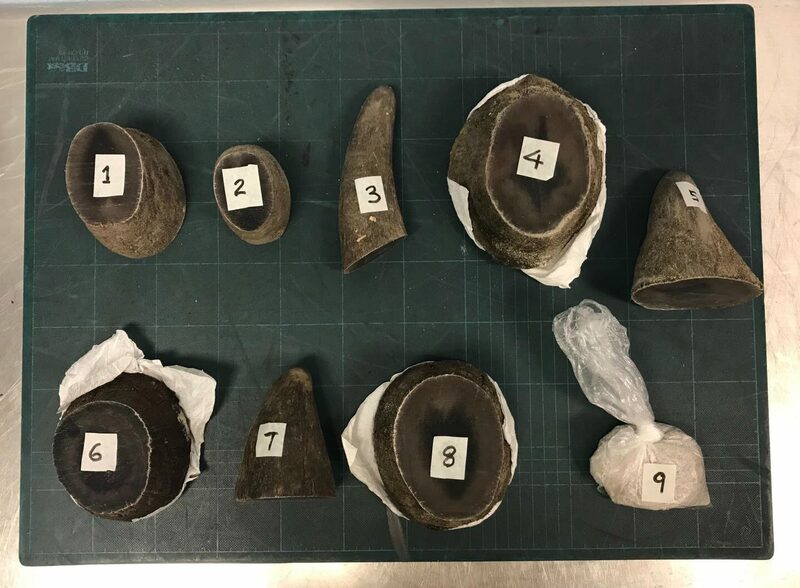 Nguyen has been sentenced to 15 months’ imprisonment today for smuggling illegal rhino horns and horn shavings through Singapore. While AVA continues to work with border control and partner enforcement agencies to maintain vigilance, tackling illegal wildlife trade requires concerted efforts of all stakeholders, including the public. Demand is the impetus for poachers of endangered animals. The public can help reduce demand by not buying wildlife parts and products. The public can also alert AVA of any suspected cases of illegal wildlife trade, and provide information. Previous ArticleCIRCLE LIFE PROMO PORT YOUR NUMBER OVER AND GET 20GB FREE FOR THE REST OF THE MONTH! Next Article 13 IMMIGRATION OFFENDERS ARRESTED BY INLAND OPERATION AROUND SINGAPORE ON FEB 22!